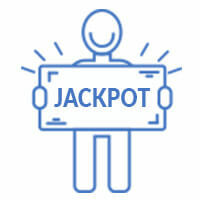 Jackpot.com is a relatively new player in the lotteries market that has received a license for on-line gambling from the UK Gambling Commission. 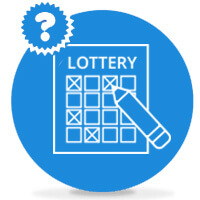 The lottery became soon popular among the players thanks to its offering of online scratchcards, syndicate betting of two UK lotteries, UK Lotto and Thunderball plus more than 15 lotteries from all over the world, one of which is the Irish Lottery. All information we found about Jackpot.com you can find in the review below. One of the key factors when selecting an online lottery is the company’s user support. The support offered by the Jackpot.com website is brilliant. Players are offered five types of contacts to choose from. The easiest way is to use its Live chat (after pressing the green CHAT button in the right bottom corner). Or, you can use the phone line +441515414507, WhatsApp or messenger. All the mentioned types of support are open from 6:00 GMT to 22:00 GMT. The last option is to send e-mail to support@jackpot.com. You will receive the reply within 24 hours. The Jackpot.com website shows numerous promo events to get a discount for specific lotteries including free lines. Join the Jackpot club to win plenty of benefits and rewards, such as the birthday gift, this week’s prize or a mega-monthly giveaway. Become a member of the Club experience team. If curious about how to become a member we have good news for you: There is nothing simpler. You just subscribe to one of our numerous international lotteries. This will allow you to be constantly in touch and not to miss any single draw. More, you will become a regular member of the club. A detailed guide to subscribe to any of our lotteries is available in our guides below. We are very positive about the scratchcards offering more than 20 types of various options. The genres on the scratchcards are very diverse so that everybody can choose. The scratching process is fairly simple. You just hold the mouse button and scratch off the card’s field. Alternatively, you can use the „Reveal all“ button. You can buy the scratchcards individually or as a bulk. The more you buy, the bigger the discount. You can test each of the scratchcards for free in advance. You just click on „Play Demo“ to get into the game. One of the most popular betting options of the famous UK Lotto and Thunderball is syndicate bettings. Pick one of the syndicate lotteries, select your share, click on the „Join“ button to enter the game and play for a jackpot of your dreams. Naturally, you can view and check all numbers and official paper tickets for syndicate betting in advance. Syndicate betting at jackpot.com helps you avoid a lot of difficulties of standard syndicate games. For example, you don’t have to seek people for your team, don’t have to sign any syndicate contract or deal with the issue of distributing the potential winnings. All will be done automatically by the jackpot.com website system. Your only task will be to join the syndicate and to pay your portion of share. The principle of syndicate betting is to raise player chances to win. More people deposit their money together to buy more lines than if playing individually. The winnings will be distributed based on the people’s shares. More details about syndicate betting can be found at our special page. The betting itself and the participation in syndicate betting are safe indeed. Jackpot.com is operated by Lottomatrix Operations, registered in Malta, licensed and regulated by the UK Gambling Commission under license no. 49262. The company’s registered office is at the following address: Vincenti Buildings, 28/19, Suite 1969, Strait Street, Valletta VLT 1432, Malta. Under the regulations of the UK Gambling Commission the identity of each player depositing money on the player account must be verified (validated). The verification must be completed within 3 days from the first deposit. The instructions to verify player identity can be found at the website jackpot.com below. The process itself is very simple; it only takes a few minutes. Is it safe?, you may ask. Our answers is: Yes. it is. Betting at jackpot.com is 100% safe. The lottery is regulated and licensed by the UK Gambling Commission. Currently, it serves tens of thousands of happy players. Using online lottery, players bet on results of official lotteries guaranteeing the winner/s the same reward as the official lottery. Smaller amounts of winnings are paid from jackpot.com’s internal resources while big amounts are paid through insurance organizations. All your tickets are insured by jackpot.com (in case of your win). So, if you win a small amount this will be added to your player account and you can withdraw the money and put it onto your bank account. If you win a lot of money the lottery will call you to make an appointment in order to collect the huge winning in person. Due to regulatory measures, the process of syndicate betting is different. Players buy the official tickets from the lottery provider. This system is used by the majority of online lottery companies because it is more customer-friendly than other systems. The system does not involve any middleman or a duty to pay a lottery tax. What we really like is the user-friendly and truly brilliant support available in numerous forms. Our positive rating also goes to the website’s design, which is modern and transparent. Jackpot.com offers the player various lottery games such as Euromillions, Irish Lottery and many more of the world’s biggest lotteries. 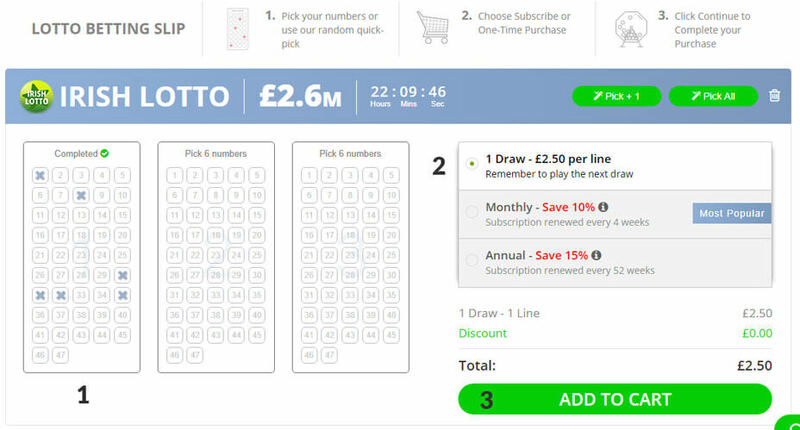 You can play syndicate of the most popular UK’s lotteries, UK Lotto and Thunderball. And if you have more spare time you can toy with the tens of cute scratchcards available at the website. As already mentioned jackpot.com is a new company. On the other hand, it is reliable and trustworthy, which was appreciated for instance by a grant-making body GambleAware. If you decide to play with Jackpot.com you will surely make no mistake. We have developed specifically for you pictorials to guide you step by step through the perils of the website jackpot.com. The guides show all essential details starting from the registration of your player account to the collection of your huge prize. To display the pictorials, simply click on the arrow in the right side. 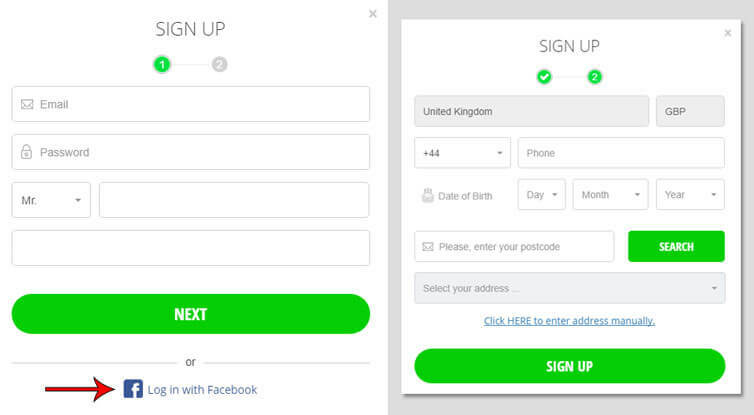 After opening any page of uk.jackpot.com, press „Sign up” in the right upper corner. The registration window will pop up. The registration window is composed of two pages. On page one you can choose „Log in with Facebook“ to avoid filling out all boxes manually. The registration process takes just a few seconds. If you don’t want to use Facebook for registration, fill out all required boxes and press the green “Next” button to get to page two. Here type the remaining details and confirm your registration by pressing the big green „Sign up“ button. Now you are a registered player. Within the next 15 minutes, you should receive a relevant confirmation. If you want to deposit money on your player account you must sign in first. Next, press the banknote icon in the middle (in the right upper menu) showing the current balance on your account. The window “deposit” will automatically pop up. The deposit window is composed of two pages. On page 1 choose the amount you want to deposit or, the size of your deposit, and press „Continue to Deposit“ to get to page 2. Here you will choose the deposit method and fill out all required details. In the end, confirm all this by pressing „Pay“. First of all, you must choose the lottery you want to play and press „Pick“. In this step you are choosing the number of lines (1-3), your happy numbers and whether you want one or more draws. Once you have finished and cross-checked all entered data, press „Add to cart“ to confirm your choice and put the ticket in your cart. Check the content of your cart and confirm by pressing „Purchase now“. In case you have some discount or promo code that can be used for this type of order don’t forget to use it. Your bet has been placed. You can see your ticket in your player account under the „My entries“ bookmark. Pick one of numerous scratchcards from the “Scratchcards” bookmark. Choose also the number of scratchcards and press „Play Now“. You will be automatically redirected to the cart. Make sure that the prices in your cart are correct or when appropriate enter a discount code and press „Pay now“. The ticket should automatically open up. If not, you will find it among the games in your player profile. The website jackpot.com offers many types of scratchcards. However, the systems are very similar. Let’s demonstrate the process on a scratchcard called „Fruity Flurry“. First, click on “Play scratchcard“. Using the „Reveal all“ button will scratch the surface quickly. Those who enjoy scratching cards can hover their mouse slowly. All winnings from scratchcards will be automatically added to your player account. Shortly after depositing your money you should receive an e-mail with relevant instructions. Within three days from depositing your money, simply e-mail a copy of one your documents (e.g. passport, driving license or an ID issued by the government) to Operations@Jackpot.com. The documents should be in formats png, jpg or pdf. Move to your player profile to see an amount that you can withdraw at the bottom next to “Current Balance”. Click under the amount on the green „Withdraw“ button to open a window to withdraw your money. 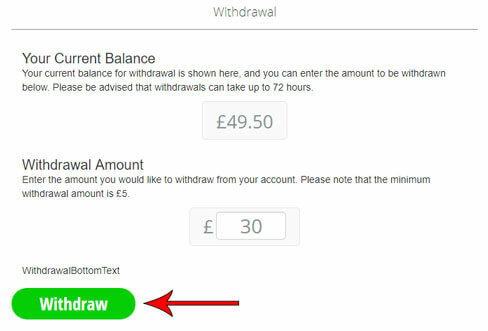 Type the amount you wish to withdraw and press “Withdraw”. In the next step, select the place where you want your money be sent and confirm. Vincenti Buildings, 28/19, Suite 1969, Strait Street, Valletta VLT 1432, Malta.